We are proud to be able to help finance the research work of Dr Marc Ruitenberg and his team at the University of Queensland, and so we were doubly pleased when we heard these talented scientists were going help finance us! Dr Ruitenberg, PhD candidates Faith Brennan, Patrick Biggins, Adam Scott, Sam Fynes-Clinton and M Uys all tackled the Bridge to Brisbane fun run on 1st Sept raising funds for SpinalCure through Everyday Hero. 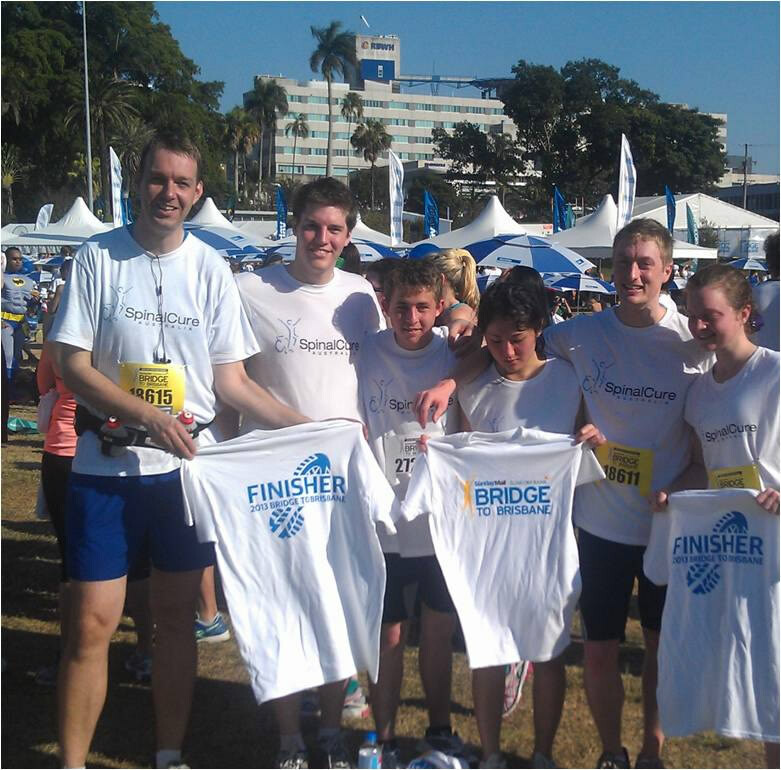 The team is pictured here sporting their SpinalCure t-shirts with our “It’s broke, so we’re fixing it” slogan on the back – which is highly appropriate since they truly are the ones who are “fixing it”!